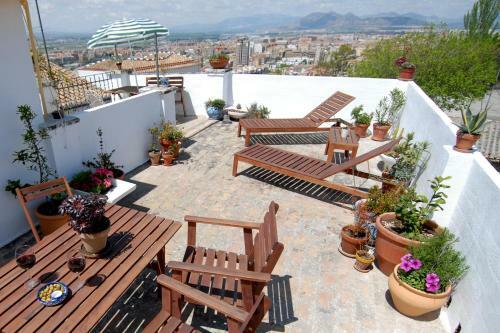 Casa de las Granadas offers pet-friendly accommodation in Granada. Guests benefit from terrace and a sun terrace. Free WiFi is provided throughout the property. There is a seating area and a kitchen as well as a private bathroom. This hotel is 1546 metres from the Alhambra entrance, 773 metres from Plaza Nueva (the absolute centre of Granada), 1243 metres from the train station and 2331 metres from the bus station.